First off we'd like to say a big thanks to all our clients and collaborators who made 2007 Mainframe's best year by a distance. The new year sees us kicking off in fine fettle too, with the hugely prestigious Nickelodeon global brand refresh getting underway. Mainframe will be working with with both the Nickelodeon UK and US teams and the new look will roll out across all 21 Nickelodeon territories towards the end of 2008. Wised Up the kids indie, is producing 2 thirty minute documentaries exploring climate change for Nickleodeon. The shows, commissioned by Nickleodeon’s UK managing director Howard Litton, will see David de Rothchild setting challenges for kids to find everyday evidence of global warming, then help them find ways to tackle it. The children will present these findings to secretary of state for environment, food and rural affairs Hillary Benn. Nickelodeon UK is to launch a large-scale multimedia environmental initiative called Nick's Big Green Thing, teaming up with adventurer David de Rothschild on a doc that will lead a week of environmental programming on the net. Mr. Ox is in Paris this week putting the finishing touches to the next 16 new episodes! Next week, he is meeting with the writers to come up with ideas for season three so, if you would like to have a say in what happens to us all in the next series, now is the time to let us know!!! UK-based kids content distributor Entertainment Rights (ER) has secured three new broadcast deals for Transformers Animated (26x22'/1x70' special). The latest instalment in the ongoing battle between the Autobots and the Decepticons is set to air on Nickelodeon in the UK, Gulli in France and Germany's Super RTL. It recently launched in the US on Cartoon Network. A product of Cartoon Network Studios in Los Angeles, Transformers Animated promises a "bold new 2D style" of animation and a suite of new characters alongside the return of old favourites like Optimus Prime and Megatron. ER, which holds worldwide distribution rights (excluding North America), has already sold the series to over 20 territories. "We recently extended distribution rights to include Latin America, where broadcasters are also showing great demand for the series," said ER's director of international, Chloe van den Berg. "We expect to announce new agreements in due course." Welcome To NickALive - Coming Soon! 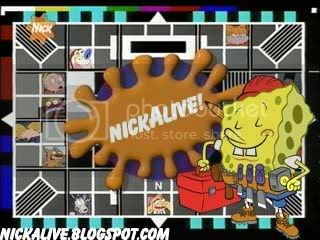 Welcome to NickALive, my website/blog about Nickelodeon UK's live continuity presenters and on-air presentation from the past to present. I'll also be putting up photocards/postcards of Nickelodeon UK's presenters from past to present, channel idents, classic Nickelodeon UK promos/adverts, and some Nickelodeon UK memorabilia. My NickALive website/blog is still under construction, so please check back often for updates! I'm hoping to launch NickALive during early 2008! Meanwhile, here's a blast from the past - What In The World Is Nickelodeon? Also, the countdown and launch of Nickelodeon UK. Also, NickToons Only On Nick NickToons on Nickelodeon NickToons! Classic Nickelodeon commercial song.